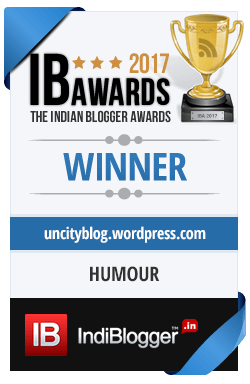 uncityblog – The Uncity blog is the voice of those who have forsaken the Urban Frantic for the Rural Rustic. “Many Happy Returns of the day. Happy Onam.” I type into the comment box of the birthday girl. Sometimes I replace Onam with Easter or something equally inane. Mostly, nobody reads the comment. Sometimes someone may like it. Rarely is it commented upon – even though I may have wished you Happy Moharram on your birthday. If I had 100+ repetitive, predictable comments on my timeline, I would ignore them too. Or mechanically like them. There’s probably an app for that. So now when Facebook reminds me that it is XYZ’s birthday and “I should help them celebrate by wishing them” I don’t. The “wish people on facebook” has gone beyond farcical into the territory of satire. More people communicating through Facebook makes Facebook richer. Not me. So I refuse to be a tool to be used by Facebook. Honestly, I don’t care to wish that colleague from the dark ages or the girl-I-met-once-on-vacation a happy birthday. And I really don’t care if they wish me. To me Facebook is a convenient way to keep-in-touch with people far away. Facebook calls it a friendship. I don’t. To check that reality, try borrowing large sums of money from each of your “friends”. That should be fun! So I changed the privacy settings for my own birthday and made it invisible on Facebook. Yes, you can do that. Nobody wished me on Facebook this year, and you know what? I feel great. So how did I celebrate my birthday? What did I do? I celebrated my birthday by doing the things I enjoy. I’ve wanted to explore the walking path from our home to a village named Lveshal. It is a 40 km round trip by car. On my birthday, my-favourite-person-in-the-world and I packed a little day-pack and we ventured out to find the walking trail. We got lost, discovered a waterfall, had tea and oranges in the forest, then we found a road on which we walked for 4 km. We came across one vehicle in those 4 km and finally reached Lveshal. There we had chai-samosa, got directions to the actual trail and then hiked back on it along a stream. Along the way we also saw some beautiful birds, and found a gorgeous tail-feather almost 12 inches long. The 13k hike took us five hours, so after coming home I took a well-deserved nap. While I slept my-favourite-person-in-the-world – who was equally tired after the walk – baked me a cake. My kids gave me a birthday card which they had made by sticking beads on paper. Good luck buying those – and the feeling which comes with it – in a store. After dark we lit a wood-fire in the bukhari and I cut in the cake to loud singing by the kids. Then we had Chinese food for dinner. It was my most wonderful birthday ever. With social media we land up maintaining hundreds of superficial relationships instead of focusing on a few important ones. Instead of doing deep, we go wide. But I would take a few deep relationships over a thousand shallow ones. If after reading this blog you immediately open up facebook to wish me a belated birthday, you really didn’t get it, did you? P.s. This doesn’t fit with the article, but wanted to share anyway. I didn’t get a single gift, for which I am grateful. I already have way too much stuff, and way to little space to keep it. I don’t need another bobble-head or another mug with my name on it. The one thing hard to find where we live is decent beer. Everything else, either I already have or I don’t need. “Dad, why is being sent to the Principal’s office a bad thing?” Asks R Mahajan, my daughter, a fifth grader at the Chirag School. “Well, there are certain schools where getting sent to the Principal’s office is a bad thing.” I answer. “Papa, Hema didi today said that if we are not good and don’t do our work then we will be made to repeat class five.” Says R Mahajan. The above are real conversations we have had with our kids. Their school, the rural, hindi-medium Chirag School, truly shows what a “fear free” school should be. And the school delivers fabulous learning, which I wrote about here. The school succeeds because there is no fear. Not despite it’s absence. To learn more about the Chirag School, and to support it, please visit https://thechiragschool.wordpress.com/ . “Dad, what’s a report card?” asked R.
I shuddered at the horror the words “report card” still evoked in me. Then I laughed out loud for having spared my children it’s tyranny. The village school is a stereotype. We expect people from lower income families to send their kids there. The average class size is 40 or 50 kids. The teaching methodology is traditional rote learning so the academic performance is expected to be average at best. A teacher slapping a student raises no eyebrows. We don’t expect any changemakers coming from these schools. We expect future leaders to come out of the big city schools where the rich kids go. The trouble with stereotypes, of course, is that they are often true. Here, in our neighbourhood, we have a Hindi-medium village school. The monthly fees of just Rs. 150. As expected, people from lower income strata send their kids there. That is where the stereotype ends. The class size of 18 is smaller than Pathways. The personal attention and involvement with each child is intense. The school follows a fear-free, experiential education methodology which many city schools tout but few deliver. The kids in this school are not scolded. They ask any question they want – their teachers patiently lead the child to the answer or encourage them to find it. Consequently, the kids are fearless and learn because they still feel a sense of wonder about the world. Their schooling hasn’t taken a toll on their curiosity. This is the Chirag school – a great example of what schooling can and should be. Many highly-reputed schools in the city started off like this – as alternative schools with a beautiful vision. What kills them is growth – they scale at the expense of that vision. By the time they add that sixth section to grade 2, they have become one-size-fits-all factories. But Chirag chooses to stay small, with only one section to each class. It is no surprise that the Chirag school has an academic record which stands the stereotype of the village school on its head. Measuring learning is controversial in the least, and a big exam is amongst the worst ways to do it. Unfortunately, it is the method the whole country follows. The kids from Chirag also have to adapt to the “outside world” after grade 5, so they take exams like the Navodaya exam. While the privileged city kids have never heard of Navodaya, it is a big deal in the village. The Navodaya schools are government-run boarding schools from grades 6-12. They are completely free, including the tuition, boarding and lodging. Admission is based on an entrance test. Rural parents aspire to these schools, but since many kids are first generation learners the parents have no way to prepare the child for such an exam. The rock-star teachers Haren da & Thakur da. the teachers have commitment levels comparable to, say, a McKinsey consultant. They are as good at their work, but their motivators are different. These teachers are driven by their concern for their students. There is no personal glory or money or growth for doing extra work. But they take amazing pride in their students’ success. Two teachers volunteered to teach the grade 5 students through the one month winter break to ensure they do their best in the Navodaya entrance exam. Here at 6000 feet, winters are bone chilling. But the teachers and students turned up every day through the winter for the extra classes. The Navodaya entrance exam is tough. For every 100 kids who take the exam, two kids are accepted (https://en.wikipedia.org/wiki/Jawahar_Navodaya_Vidyalaya#Admission). 4 of the 17 fifth-graders who appeared from Chirag were accepted. That is an acceptance rate of 24% against the national average of 2%. The Chirag kids are similar to other kids that take the exam. Only their education differs. Chirag school pulls this off with modest infrastructure but the right philosophy and approach. This result is testament to all that is right with this school. Another great story is that of Jiya. enrolled in school at age six and hadn’t spoken a word until then. Chirag happily accepted her – “inclusive” is a philosophy here. With persistent support from her teachers and a lot of love and care from her classmates, Jiya slowly started adjusting to school. She spoke her first words after a couple of years of joining school. So imagine the joy Jiya brought when she performed on stage for the first time despite her social anxiety. She nailed all her lines. Most heartwarming was the applause she received backstage from her teachers and friends. But the Chirag school needs support to survive and grow. If the above stories inspire you, please help. There are two ways in which you can. The school is partly funded by the Chirag NGO, but depends in large part on the support of well-wishers like you. If you could like to make a contribution to the school, please donate at www.chiragschool.org . The Principal of the school – Sumit Arora – will be leaving in March of 2019. He is brilliant, down-to-earth, methodical and a leader. He has transformed many aspects of the school. He has brought the morale of his team to a new high. To fill in his shoes, we are looking for candidates who might be interested in leading this outstanding primary school in the beautiful Kumaon Himalayas. This school requires intense work and this should not be seen as a retirement posting. If you know someone who you think may fit the bill, please connect with me at chetan@himalayanwritingretreat.com. (The author, Chetan Mahajan, is the parent of two Chirag students. He was the former chairman of the School Management Committee of Chirag, and continues to be deeply involved with the school. Before moving to the village, he was in leadership roles in various education companies including a Gems group subsidiary. He last role was the CEO of HCL Learning Ltd. He has visited some 1000 schools over the last decade. One reason he left the city was his disillusionment with corporate India, which includes the business of education. He touched upon this in his recent TEDx talk ).